General tickets are around 30% off between September 7th and September 10th. Please check individual ticket prices on the form. Please note that for certain performances, only limited numbers of discounted tickets may be available. 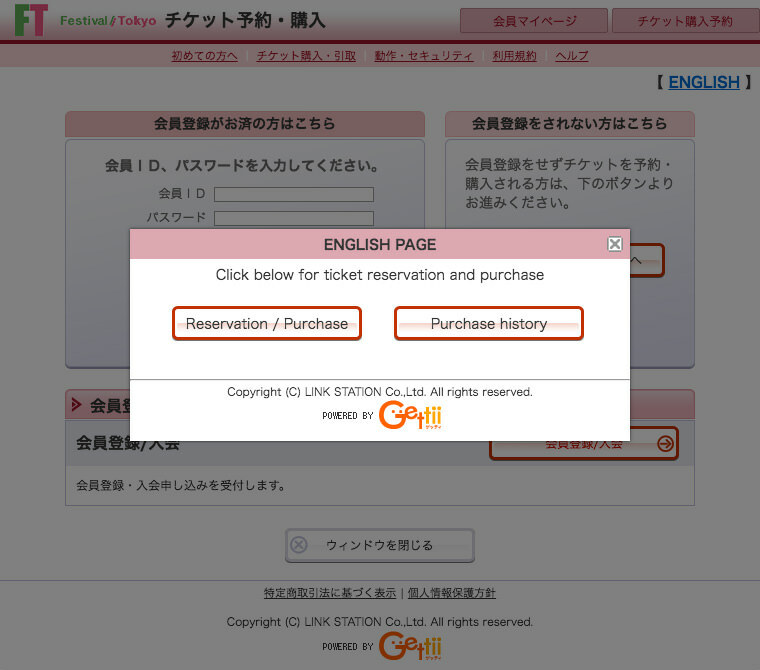 These tickets are sold in advance per performance. Tickets go on sale on September 11th at 10:00. Get 10% off when purchasing two tickets for the same performance. The discount is only available for tickets purchased in advance. Please choose either the pass for three performances or give performances. Valid for one performance per production only. 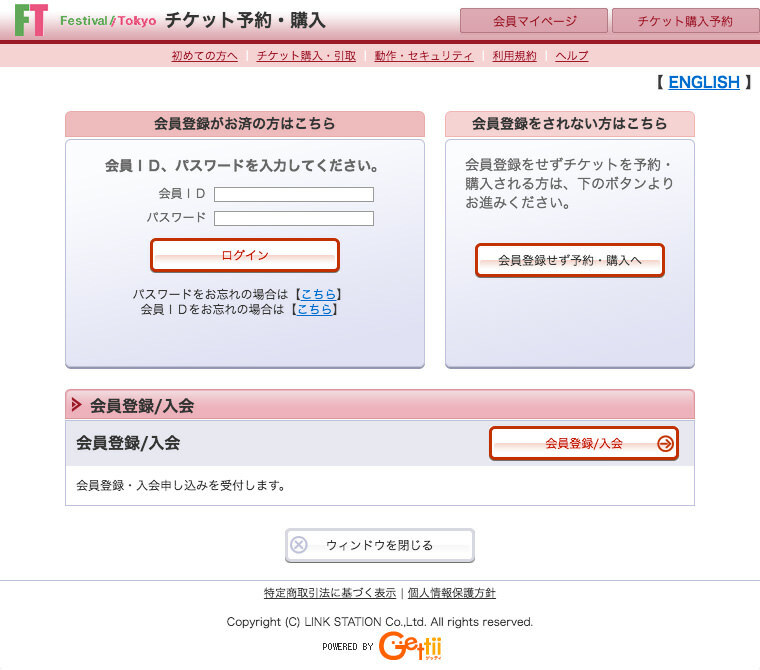 However, Festival Passes can be used to attend multiple performances of “Performing Fukushima” and “Blind Spot”. 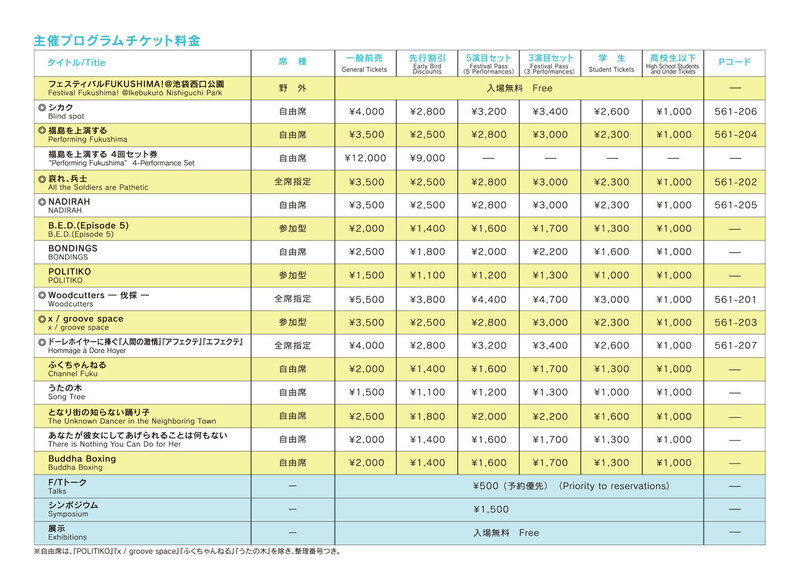 A handling fee of ¥108 is charged per ticket. Children under school age are not admitted to performances (except for “Channel Fuku”).